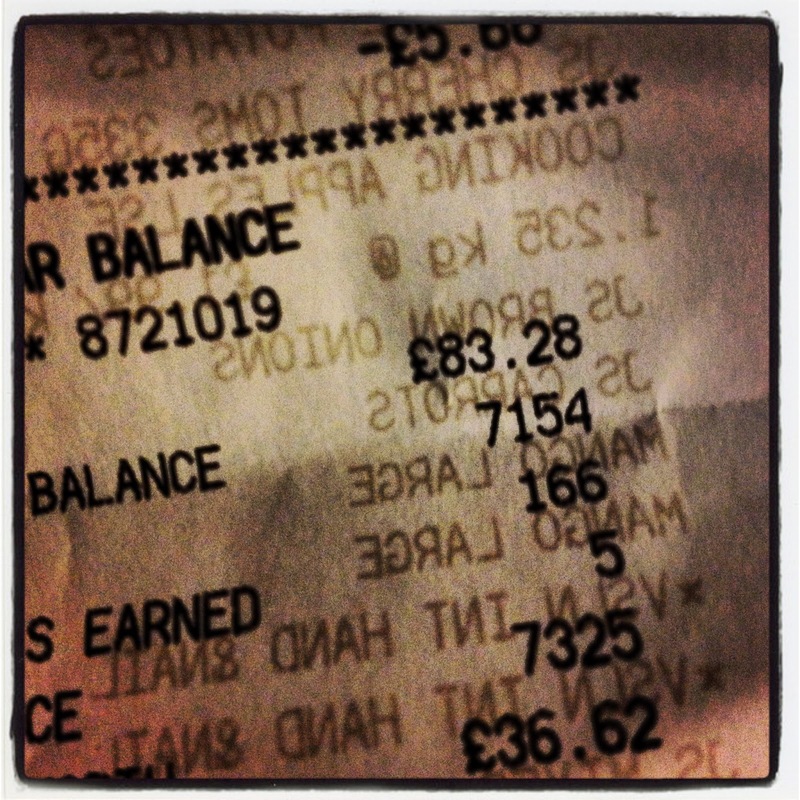 So in my attempts to stick to £50 a week on groceries while maintaining healthy values… I just went to the supermarket and it came to £83.28. I was ill. This is partially an excuse as I wasn’t thinking strait (?!) and also I needed bin bags and washing powder. I didn’t even look at the clothes, pretty candles, books, magazines or CDS… so its all food and so far…NOT so good. But I’ll keep trying at my target and attempt not to go over £200 for the month.